There is no better way to indulge in the idyllic surroundings than on horseback. Feel the breeze and salty air brush your face as you ride off into the sunset; tingle with excitement as you ride through fabulous scenery on beautiful horses; and then relax and unwind at local eateries. For horse lovers, a visit to the Kindawan Riding Centre is a must. Situated along a beautiful tropical beach in Tuaran Beach Resort, close to Kota Kinabalu, Sabah’s most established riding centre offers lessons and pleasure rides crossing palm fringed beaches, forest trails as well as local villages. All rides are led by experienced tour leaders to ensure the rider safety and comfort. Operated by a qualified equestrian coach, Kindawan Riding Centre has several horses bred in the property itself. These horses is a cross between the local Sabah pony and the Thoroughbred. Their suitability for the climate and environment has made them popular riding horses in West Malaysia and other neighbouring countries. This centre offers a variety of rides to the countryside and nerby rainforest. 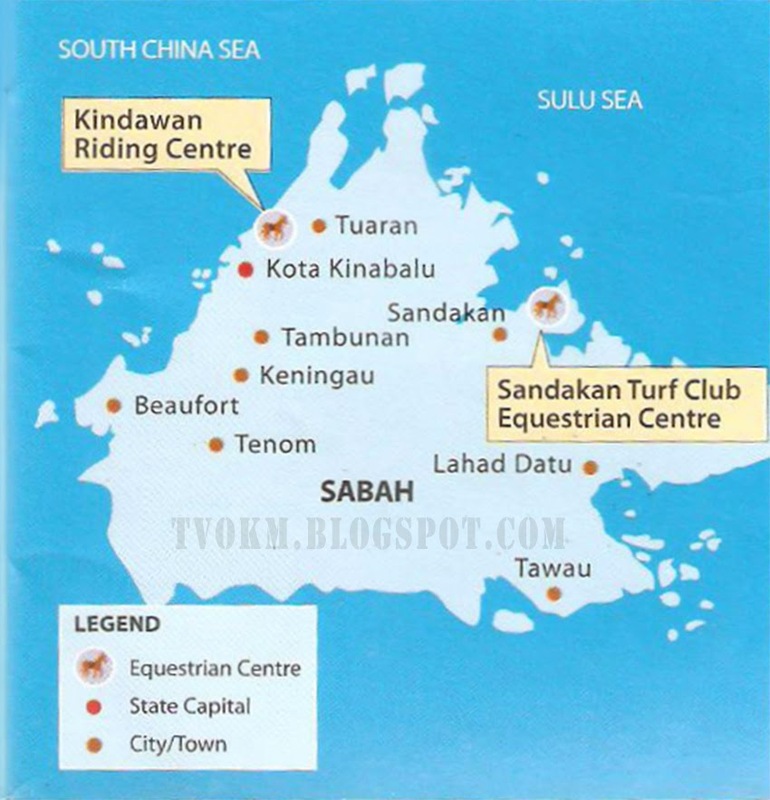 Adjacent to the Jockey Club where races are held quite regularly, the Sandakan Turf Club Equestrian centre also boasts some lovely training paddocks and fields. Here, one can see the horses in a nice natural surrounding either frolicking or being schooled by trainers.